Do you know everything that you need to know when buying 911 Porsche Carrere 964 and Turbo 3.3? If you’re buying an old Porsche 911 there are some major pitfalls you will need to avoid. My buying guides will tell you everything you need to know to make the right purchase. If you don't have the information to buy a Porsche 911 964 Carrera, C2, Carrera 4 or 964 965 Turbo then this buying guide will help you. So many people dream of owning a Porsche 911. Lots customers wait decades to get to a position of being able to purchase one. Some well into their retirement, some in their twenties, for most all of them, it's their dream and has been for a very long time. The reality is although these are good, durable well-built cars the majority of the ads we see in papers, magazines, online, garages and dealerships are very misleading. Some 911 will be, some will not, the question is... Could you tell the difference? Overall the 911 Carrera 964 is a great car to drive, find one that's good and you will absolutely love it. I believe the 964 is overlooked and underrated and can represent a great buy. But these early 90's Porsche can cause lots of grief among buyers. Buying A Used Porsche 911 964Not many buyers have enough experience to resist a beautiful looking 911 964. If it's the right color, right model, the mileage is okay, and it's a decent price. Excellent! Emotions take over, you buy it and set off down the road that very same day.....only to regret it later. It's happened to me in the past, and it's just the worst feeling. Just imagine what it would be like to find out that the beautiful looking 911 964 you bought turns out to have a bit of a 'colorful' history, maybe it's been damaged, and you didn't know? Or one day you're just poking around admiring your 911 Carrera 964, and there it is, some very serious corrosion that had been covered up to look great. It is the honest truth to say that not all of the amazing looking Porsche 911 you will view will be as good as they appear on the surface. In the past, I have made such mistake learnt from it, and now passing on my information. It's true, a Porsche 911 Carrera 964 is not a cheap car, and you certainly don't want to add to the expenses by having to pay a bill for a repair. Trust me, there is nothing worse than the feeling of being conned duped or mislead and it will kill the enjoyment of owning one of the cars you always dreamt of. My guide will help you find, and inspect a Porsche 911 Carrera 964 or 3.3 Turbo 1; it will take you through step by step the process I use on a daily basis to successfully buy good examples without the ugly surprise later. 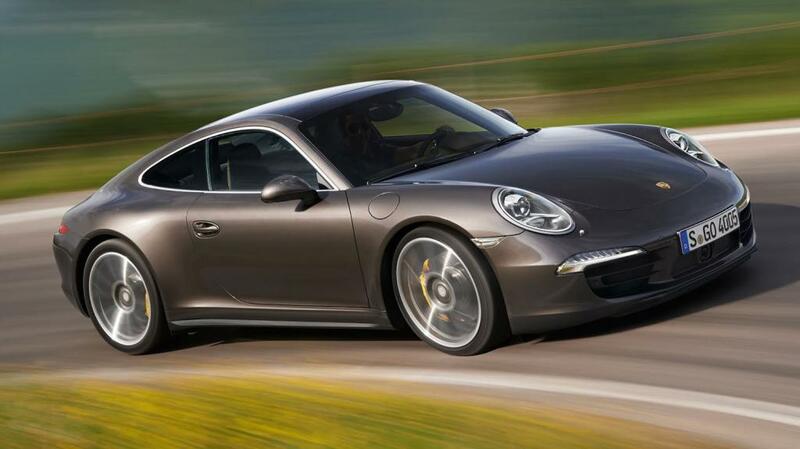 You should be able to ascertain which the 911 to avoid are and which one you should buy. The 911 Porsche Carrera 964 and Turbo 3.3 are excellent cars. Good examples are great fun to drive, reliable, easy to service, very durable and low depreciation as well. If you own a good one, you will love it.